Kapil held KKPK special screening for Dilwale Team! Kapil held KKPK special screening for Dilwale Team! 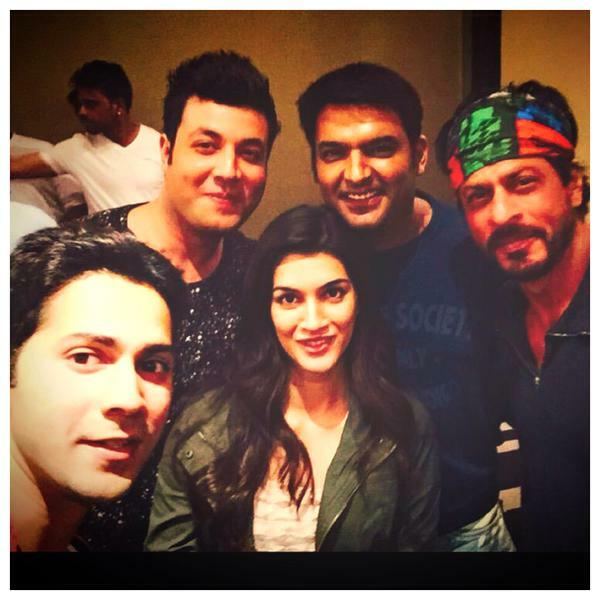 Home > varun dhawan > Kapil held KKPK special screening for Dilwale Team! Kapil held KKPK special screening for Dilwale Team! Kapil Sharma is damn busy nowadays because he is promoting his debut film Kis Kisko Pyar Karoon across the country. After finishing his promotional activities in Delhi, Comedy King was seen rushing to Hyderabad with his team to held special screening for SRK and Dilwale team. About the same, Kapil Sharma said "Shahrukh Bhai wanted to watch my film and Varun Dhawan is a friend of mine and also Varun Sharma is a part of my film so, we thought to hold a special screening for entire team of film Dilwale. They are shooting all night, and have specially taken out time to watch my film in between." Kapil also added "Recently, I got to meet Sachin Tendulkar on a flight and when I went to say him Hello, he said that he is aware about the release of my debut film. I'm very honored that legends like him are aware about my film." KKPK is releasing this 25th September. The film has Kapil Sharma, Arbaaz Khan, Manjari Phadnis, Amrita Puri, Simran Kaur Mundi, Elli Avram & Others.